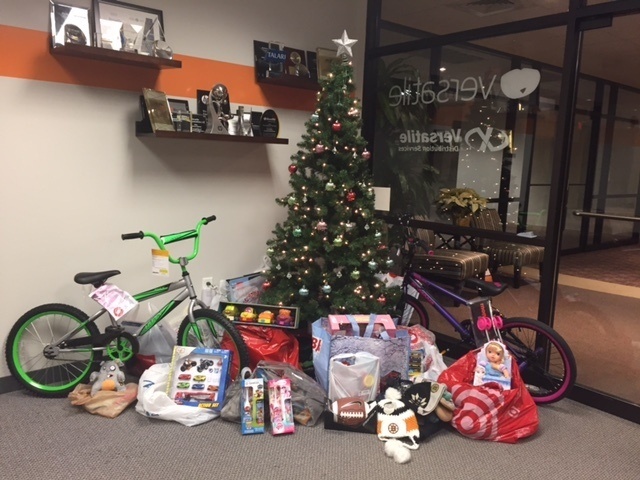 Versatile Employees Support "Hope for the Holidays"
The United Way's "Hope for the Holidays" annual campaign continues to be a success at Versatile, now 4 years running! 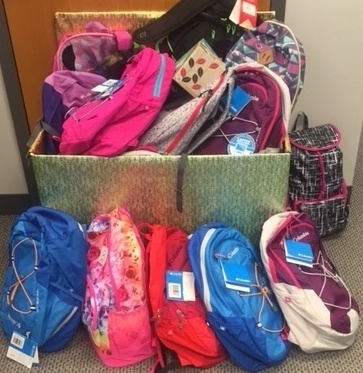 Versatile Employees Support United Way's "Tools for School"
We are incredibly delighted by our employees' generosity at our home office in Marlboro, Massachusetts during the United Way's "Tools for School" Backpack Program. The backpack and school supply drive was a big success thanks to those employees who donated an amazing selection of school supplies and backpacks...in all colors and sizes! The kids who receive these backpacks will be pleasantly surprised when they can return to school ready to take on the year in style!